Group Visits at Wellington Pier01493 700094work Group VisitsWellington Pier Ten Pin Bowling Centre in Great Yarmouth welcomes group bookings and offers special inclusive group packages throughout the year. 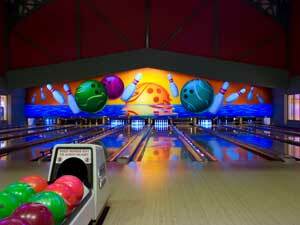 Packages may include pre-booked lanes, games of bowling, refreshments and basket meal. Deal details will vary throughout the year so please check directly with the Bowling Centre. Wellington Pier Ten Pin Bowling Centre in Great Yarmouth welcomes group bookings and offers special inclusive group packages throughout the year. Coach Drop off is situated outside the Sea Life Centre a few minutes walk from the entrance to Wellington Pier . Special Offer prices apply to group packages. Please contact Wellington Pier directly for details.